The phrase “there’s money on the internet” is probably something you’ve heard being said somewhere before. If you had paid close attention, it was probably used in explaining how the internet can serve as a platform for providing service or product that other people are willing to pay for. Or, maybe you’re just curious to know how to make money from the internet by blogging or you want to know how the people who made money from blogging made their money. If this is why you are now reading this, then you are in the right place. 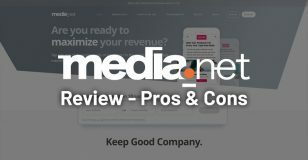 In this article, we will consider how a pretty simple venture like blogging can help you rake in large sums of money with the right amount of focus and with the right product or content. If you continue reading, you will learn how to create a blog for free and make money from it. 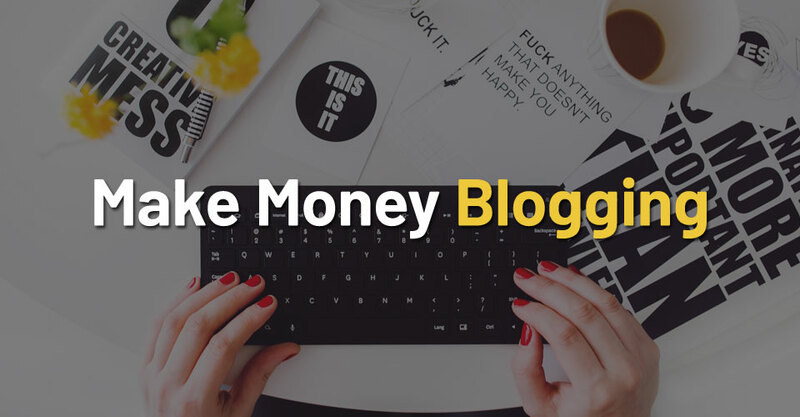 But, before we delve into that, let us consider the general notion of making money on the internet and show you why blogging is a sure bet for you. Generally, people make lots of money from the internet and, in most cases, this has nothing to do with blogging. There are a lot of ways by which you can make money on the internet and most require you to have original content or a product. There are also some that only require you to have an internet presence of some sort. which can be leveraged and used for gains. For this publication, we will only consider three major ways. Affiliate Marketing: this involves creating an online platform through which visitors can access a company’s website or sales channel and buy or do business with them. Yes, with affiliate marketing, you are often required to have original content on your online platform, but in some cases, all you are required to have is the platform itself and a very persuasive landing page. People make money through affiliate marketing by getting commissions off sales or transactions that are either initiated or completed through their platform. E-Commerce: Business people, manufacturers and producers love to build online stores for their products especially when they seek to reach a more global audience. E-commerce serves as the interpolation between business owner or producer and the end user, often without the need of an intermediary or retailer. With e-commerce, your store is absolutely on the web and your sales are completed on the internet. Recently, celebrities have begun to harness the fluidity and efficiency of e-commerce and now use it as a means of selling merchandise to raise some extra money for their lavish lifestyles. Blogging: the process of creating readable content online and using it either for promotional purposes, recreational or informational purposes is a very effective way of getting money on the internet. The process follows a four-way step which is broken down as follows; (i) build a website or free blog, (ii) create engaging and relevant content on that platform, (iii) engage your readers and make them always come back for some more of your content and (iv) start making money. Honestly, the final part is a bit more complicated than that, but once you understand how this works, things begin to pan out pretty nicely. The simple truth is, there is no hard and fast rule to making money on the internet through blogging. However, there are tried and tested procedures which you can apply and which are guaranteed to help you make it big as soon as possible. Consider one thing, pioneers make mistakes for rookies to learn from in order for them to avoid making similar mistakes. The steps we would point out on this article are tested and trusted to work should all other variables remain constant. As such, they are reliable, to say the least. 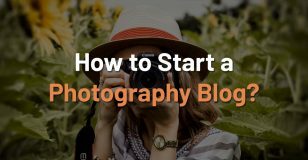 Yes, first step is to start your blog. Not a very spontaneous process either, considering the fact that to pass through this process successfully, you will have to spend a lot of time brainstorming and considering a lot of variables. Plan/Decide on your content strategy and direction: A content strategy is how you want your content to reach your target audience and how you want them to interact with your content. Having a content strategy gives you a clear mind on what you want people to think of your content. Strategy helps you decide the form and structure of your blog posts and content direction helps you maintain that form and structure. Without a well thought out content strategy or direction, your blog would die out within weeks of starting off. Pay a lot of attention on making your content strategy and direction solid. Also, it is at this stage you get to choose your type of content. What this means is, here, you get to decide whether you want your content to be informative, recreational or promotional. Choose a Content Management System or a Free Blog: WordPress and Blogspot both offer free content management platforms through which you can run a well customized free blog with the attachment of either a .wordpress.com or a .blogspot.com depending on which you choose. Also, there is the option of paying a small fee to remove those attachments and go full .com. 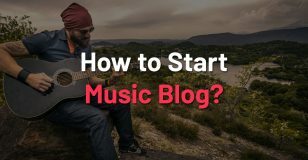 Whichever you choose, starting and customizing a free blog is pretty easy to get around and for the most part, it is an efficient way of saving money while making money. Establish your presence on Social Media: the social media space is a great place to establish your presence if you do not have the big budgets to roll out big advertising. You can harness your own personal accounts on social media, or you can create new accounts and use them for managing and channeling attention and traffic to your blog. To become effective at this, you should consider creating content for your blog (content creation would be discussed next) and learn how to make social media engaging for users within your network. Content creation generally involves producing audio-visual and text content for people and distributing said content through the internet. Creating content for your blog comes with options and these options will determine the success or failure of your blog content. These options are also going to be determined during the brainstorming phase during which you determine your content strategy and direction. When you decide what type of content you want to create, you can then begin creating content for your blog. Here are some steps to follow when creating new content for your blog in order to get your audience stuck to your blog. Your Headline Should Kill: One sure fire way of creating content that satisfies and works for the internet is to use headlines that are hot on the internet. There are several ways of getting hot topics and burning headlines for your blog niche and one of such ways is keyword research. In blogging, there is something referred to as Search Engine Optimization or SEO which is roughly interpreted as the means by which websites are ranked on the Google search engine. For Search Engine Optimization to work effectively, you need to use the right keywords for your content. Keywords are specific strings of words put together when people search the internet for specific solutions or information. Keywords optimization determines, to a large extent, what blogs or websites would pop up first if you type in a string of words like “best omelet recipes” on google. Ranking on the google search engine requires more than just effective keywords usage, but this is a start. For some keywords, they perform better when they are used as the headline of the post while some others perform better when they come up within the body of the post. Whichever you choose, make sure it is catchy and would encourage the reader to click the link to your website. Crafting headlines which hold attention are really tasking, considering the fact that you are not the only one trying to do it. So, one way of getting killer headlines which are not already in use is to do quality research on related topics to the one you want to write on and or similar to it in some way and choose a topic that functions both aesthetically and virtually. Create Posts that People Can Easily Remember: Another sure way of getting huge traffic to your website is to create content that people can always recall. By this, I don’t mean create content that is easy to memorize, instead, create content that is highly relevant. This comes in handy all the more if you choose to create informational or promotional content. To explain this in simpler terms, if you run a tech website which provides information on the specifications and functionality of hardware and software, then you should consider creating your content in a way that when people read through, they find it rich enough to want to come back to it to make reference. So, if you review a phone, for example, your review should be so rich that anyone who reads them the first time finds it informative enough to base a judgement on or come back to. Creating posts and content that people will easily remember to refer to is a challenge most bloggers face because they do not take note of the importance of this factor. Truth be told, the chances of an old post which keeps getting traffic ranking higher than a newer post with less traffic is very high and this implies that content, when well written or produced, never grows old and never goes out of vogue. No matter how old or long ago, quality content would always be a reference point for people who found it engaging and highly vital and well-researched. If your content sounded highly informative to a reader, it is very likely that they are going to come back to that content sometime in the future to make a reference point of it. Stay Consistent: Blogging is a lifestyle and full-time job and much of your success or failure on this job depend solely on how much or how less you blog. Or better put, how frequent and consistent your blogging is. Most people who run blogs have a hard time managing the content creation process on full-time basis and find it desperately difficult to stay relevant for long. Now, consider this; audiences are reached and maintained when they perceive that the platform poses a form of authoritative poise when talking about the particular niche. And this authoritative poise is developed over time through consistency and frequency. Take, for example, a blog that talks about gadgets and technology but only posts a review once in three weeks and a blog that posts ever day about tech news, updates and reviews, which would perform better? Now, take note that consistency in content creation is measured by the frequency of blog posts and performance of those posts before the quality of those posts is considered. So, if there’s any one tip to hold dear, be consistent. Engage Your Audience and Build Interaction: One thing that would piss your audience off and make them dump your blog, no matter how important it is to them, is the lack of engagement and interaction. People visit websites and blogs with the hope of learning and sometime, teaching and denying them that leisure can prove to be very dangerous. Nothing kills a blog faster than lack of interaction. Interaction is in the sense of feedback and communication underneath a post on a particular blog. Sometimes, it is nice to ask your audience to share their experience with a particular product or event in the comment section and it is even more important to read their replies and inputs and appreciate them for it. Engaging and interacting with your readers goes a long way in helping them realize they are reading content from a human being with great intentions and not just a blogger bot. From time to time, request for post feedback from your users and from time to time, reply their feedbacks to answer their questions and clear their doubts on specifics or respond with appreciation to their worthy inputs to your blog post. This way, you make them an integral part of your entire blogging experience. Now that you have content up on your blog, you may think that things would magically begin to work on their own. But this is not the case. It is not enough to just have content up on your blog and it is not enough to have wonderful content on your blog. When you have created content, there is still work to do and that work involves marketing your content. There are two basic ways through which you can market your content on the web and they are through social media and as a guest writer for big blogs. Let us delve into those now. Marketing on Social Media: Marketing your blog content on social media is a very wonderful method of getting attention to your blog. 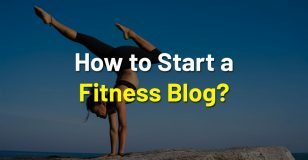 This is mostly because it is a free and limitless resource place for meeting and interacting with new people and getting them to interact with your blog. There are different ways of meeting new people on social media with your blog content and the major one is through hashtags which is the same thing as using keywords to target users in Search Engine Optimization. On social media, you can post links to your blog posts under trending or related hashtags on Twitter, for example, and when people view that trending topic, they will see your blog link and if it interests them, they will click on it and interact with your content. This method works mostly for Twitter, Facebook pages and Instagram and is a free way of reaching a wide spectrum of people. The whole of social media makes meeting and interacting with new people a lot easier with the algorithms and keyword optimizations which are designed to work in bridging the distance between users on social media platforms. Writing Guest Posts: For bloggers to grow their platforms, they need to collaborate with other bloggers who are either within their niche or who are willing to accept random content. Bloggers collaborate all the time and from time to time, they help each other build their platforms in order to help build each other. What this means in simpler terms is, bloggers are more like bricklayers and to showcase their skills, they help other blog owners build their blogs either for pay or for honorable mentions which tell people about their work and get them referrals. If you want to promote your blog for free on another blog with a larger audience, then, consider writing a proposal to the owners or managing editor of the larger blog and make your request known. Once they accept, you have opened a door to bloggers paradise. To fully harness the benefits of this door, you must not fail to sell your brand or blog in the guest post. 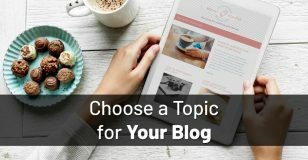 You can either choose to talk about a topic which would require you to make reference to your own blog or introduce yourself and your blog at the end of the guest post. This way, you show yourself to the audience reach of the large blog and get your blog more attention. Now, to the main story. There are several ways through which you can make money when you are a blogger and how much you make would be dependent on how much time and effort you put into harnessing these opportunities. In this section, we will consider five ways through which your blog can fetch you good money. Income from Advertising: for most bloggers, this is the starting point. This process is pretty simple to follow, the more your audience base grows and expands, the more advertisers are willing to put their ads on your blog. To harness these, you will require either a very high amount of constant traffic range or a middleman ad network if you don’t have that heavy traffic yet. A very popular ad network is Google AdSense and they help manage adverts which show on your blog, giving you stipends from the total amount the advertiser pays for the ad to run online. For most bloggers, this is the most profitable thing they have done online and they can make lots of money from it, if they want to be passive. Affiliate Marketing: this may have been mentioned before but here, it is in a different context and serves another purpose. Affiliate marketing involves placing strategic products on your website and encouraging your users to click links to buy these products or order these services in order for you to make a percentage from the total amount on sales. Affiliate programs are huge sources of income and they are very easy to operate. Amazon runs one of the most successful affiliate programs currently. 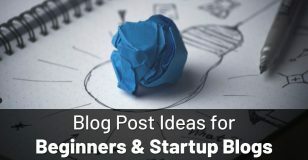 Premium Content: for bloggers who write about professional services like copywriting, digital marketing, cooking, etc., you can initiate premium content programs where people pay some money to gain access to training materials, tutorials, customized services, coaching, a community area, tools, etcetera or a combination of every or some of them. Marketing and Selling Products: if you have products to sell, blogging about them could increase sales, thereby earning you money and more patronage. Using your blog to promote your products is a sure way of increasing product and brand communication and driving sales and is also a huge source of income. Income from Rendering Professional Services: If you are a professional writer, for example, it is likely that from your blog, you can get permanent clients who would like to hire your services and help you rake in money. Rendering professional services is an incredible way of increasing your income basis through blogging. Follow these steps accordingly and carefully they you will be a shoe in to start monetizing through a simple blog. Please do now that these are not the only ways to monetize your blog. There several others, this is article just contains the simplified way.